Can you really make your waist smaller? Yes, you can—but it requires more than just diet pills or tummy shapers. Since where you store fat in your body is largely defined by genetics, getting rid of your muffin top begins with losing weight all over. This is done through diet and exercise changes, which this article outlines. Next, you’ll want to tone your abs using specific exercises that target the core. We’ve provided 7 great core exercises at the end of this article that will do just that, helping you to sculpt a leaner stomach. These steps can help you lose belly fat and shrink your waistline, but since everyone is shaped a little differently, completely changing the ratio of your waist to the rest of your body is not attainable—aside from waist-trainers and other gimmicks. Let’s look at the real, scientific way to shed body fat and tone your stomach, using two things your body was designed to do: eat and move. Wash and chop your favorite fruits and veggies and get them into baggies for grab on the go. If you like to cook, make a big pot of healthy chili or soup and divide into containers for the freezer. Anything you can do to prepare in advance is going to reward you with results. Spending a few hours on the weekend to plan for the week ahead can transform mealtime from stressful and fattening to simple and healthy. Protein, carbs and healthy fats go together in meals for a reason: to keep you balanced and satisfied. Try to eat them together every time you eat. If you are grabbing an apple for a snack, it might surprise you to know that pairing it with a tablespoon of peanut butter is BETTER. 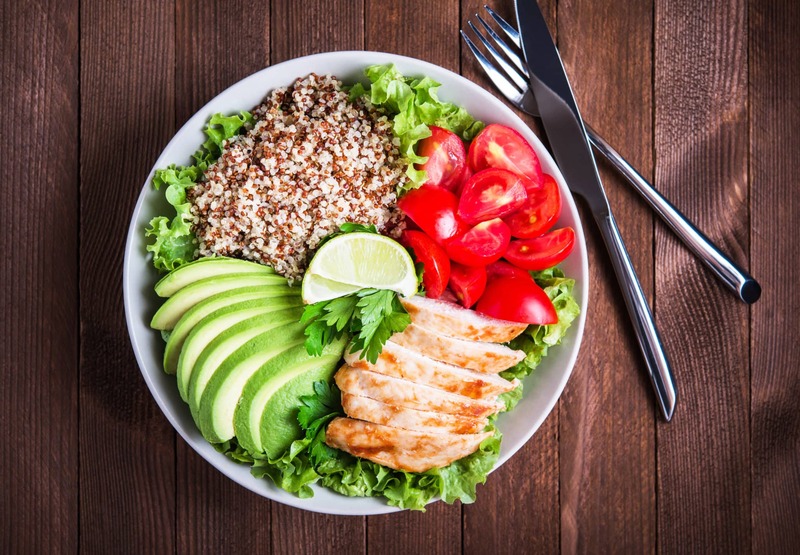 By balancing the nutrients, you might take in more calories initially, but you end up eating less in the long run and your blood sugar will stay in balance, staving off cravings for the bad stuff. This means you eat the good calories that get used up rather than stored in your belly. So what does well-balanced and simple look like? Piece of whole-grain toast with peanut butter and ½ a banana. None of these are complicated and each of them will satisfy your tummy for several hours. We are often guilted into eating things that others offer us. And while it is just fine to splurge every so often and enjoy a treat, I bet if you added up the free doughnuts at the office, slices of co-worker birthday cake or over-sized samples at the big-box store, you’d be surprised at how often it occurs. Oh, and don’t forget all the sips and bites you take from your kids plate. Be intentional about what you eat and, if needed, keep track for a week and write it all down as you take it in. This will give you a reality check. The other half of this dynamic duo of losing belly fat is the need for your body to move. We’ve become a sedentary society. Exercise has become a chore rather than a part of every day life. When you think of belly fat your mind might picture doing a load of crunches and planks. And while strengthening your abdominal muscles is important, there’s more to it that that. Let’s take a look. If you’re going to take off unwanted fat, calorie-burning cardio exercise is going to be your friend. But when you decide to get your move on, choose something you like to do. Too often we look at exercise as a punishment rather than another part of our daily routine. Our minds are a bit limited in what we view as calorie-burning cardio. For example, there is absolutely no reason you should force yourself to become a runner if you hate running. Think of all the options to move your body: walking, volleyball, dancing, boxing, fitness classes, bicycling, swimming, kayaking, snowshoeing, paddleboarding. The list goes on. Find things you actually enjoy and make sure to include it in your weekly plan for moving. Aim to get a cardio workout in 4-5 days a week. BONUS: If you want that weight to come off quicker, try swapping in a HIIT workout , Tabata training, or another form of interval training twice a week. Intervals help you work harder, not longer, and make your body burn more calories, even after you’re done. This will shed the pounds faster, guaranteed. Okay, so here’s one that you should do even if you don’t like it. Why? Strength training matters. Muscle is active tissue, meaning it burns calories even when you are sitting around. The more muscle you have, the more calories you burn at rest, meaning the better your metabolism works. The good news is that, much like cardio, strength training comes in many forms. Lifting weights in the gym is one way. So is using resistance bands, medicine balls or even your own bodyweight. Find what works for you and incorporate strength work into your routine 2-3 times per week. We are talking about getting a thinner waist, aren’t we? So once you are eating well and moving more—which will take off the layer of fat covering your middle—it’s important to strengthen and tighten what’s underneath. Choosing specific moves that work your transverse abdominus, obliques and rectus abdominus are all part of the picture. Try our GetHealthyU TV video Core Blast Pilates for a guided core workout you can do at home! Here are 7 great exercises that target your core. Combined with cardio and clean eating, these exercises will help whittle your waist—no diet pills or waist trainers needed. Perform 8-10 repetitions of each move below, except the Pilates 100, which you perform for a count of 100. Click to learn how to do the Pilates 100. Click to learn how to do oblique crunches. Click to learn how to do the Bend Extend Ab Tuck. Click to learn how to do a side plank scoop. Click to learn how to do the double leg stretch. Click to learn how to do a side plank. Click to learn how to do the bicycle exercise.